" I love to play with the colors of glass and am inspired everyday by this beautiful planet we live on!... 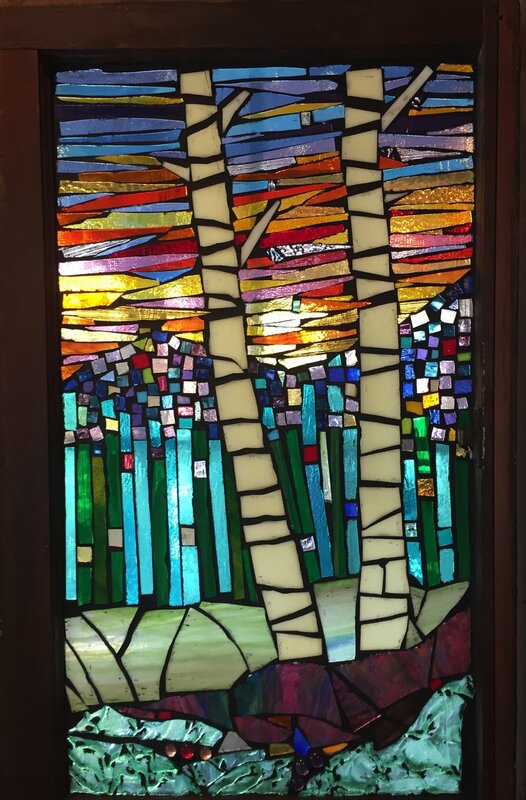 (Glass) mosaics have become a great medium to gather up all that inspires and contain it just a bit." Mare Schelz is a working artist in Bend, Oregon. Mare received her B.F.A. from Southern Oregon University, and went on to pursue two intensive years at Penland School of Arts and Crafts. She enjoys working in a variety of media, using an array of tools and techniques. She tries to use recycled items as much as possible in her creations.